Lisbon is the perfect early Spring city break: crisp and sunny enough to wander around the cobbled streets with jumper sleeves rolled up. Hilly enough to walk off all the delicious food there is to try. Up a steep hill in Lisbon’s Chiado district, watch the iconic Number 28 yellow tram rattle past the windows of this popular tapas bar as the twinkling lights dance on the River Tagus beyond. Try a glass or two of the local deep red Douro, with buttery Azeitão cheese, olives marinated in orange and sweet Iberico ham. Prego steak sandwiches are a Portuguese speciality too – make sure you try one topped with a fried quail’s egg here. 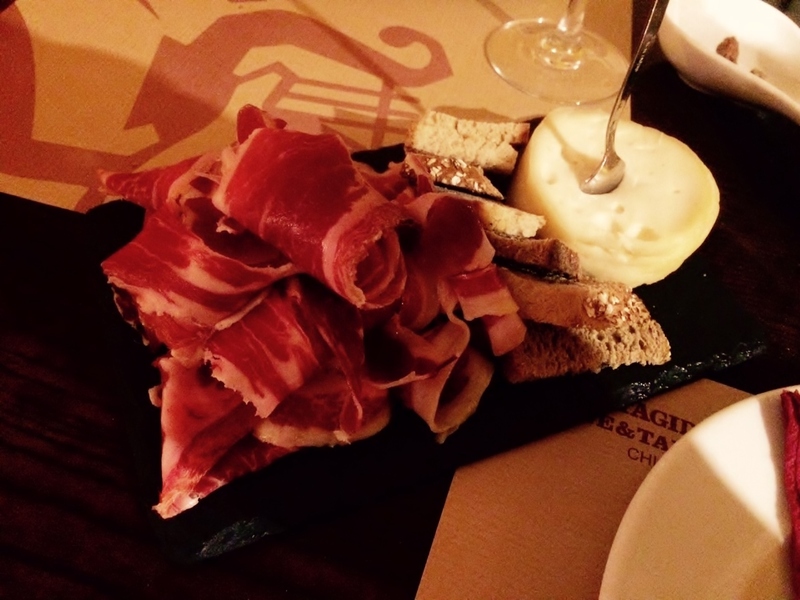 Visit on a Friday evening for live Portuguese music, or during the day, Tagide offers an excellent value set lunch menu, with a coffee and glass of wine for €8.50. Pasteles de nata, or egg custard pastries, are Lisbon’s equivalent to Paris’s croissant: the bite-sized pastries are everywhere. 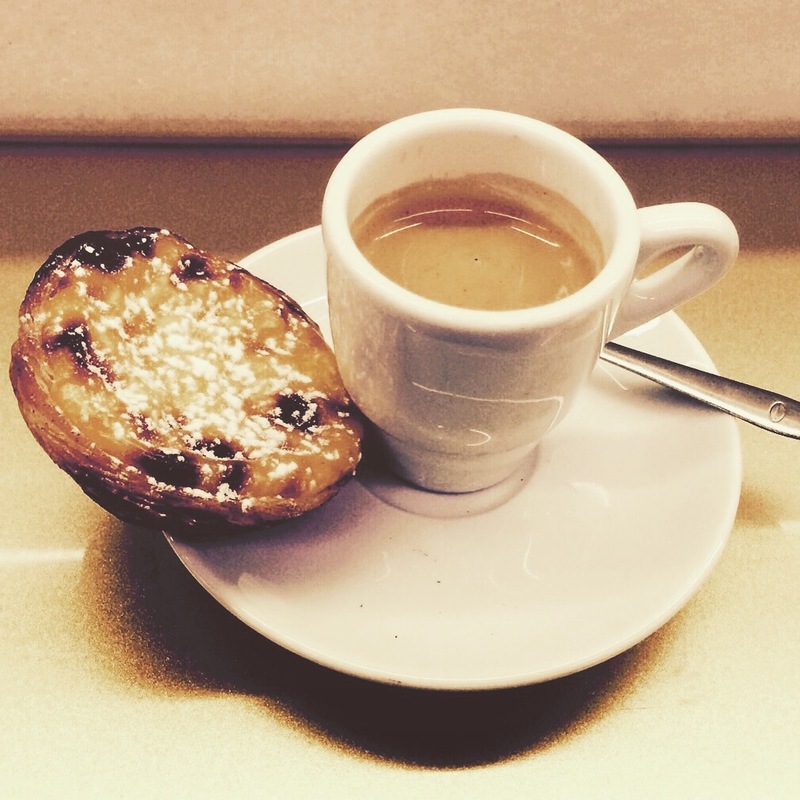 Open until midnight, Manteigaria is the place to stop and refuel, before heading on to one of the 200 plus bars in the winding streets of the Bairro Alto district. Try one fresh out of the oven, with a dusting of icing sugar or cinnamon, along with a strong espresso. It’s standing room only at this tiny family-run café bar, but that’s part of the charm. TimeOut have taken the best of Lisbon’s food and drink and opened the Mercado de Ribeira, an upmarket take on the street food scene. Housed in the city’s famous market hall, take your pick from 35 stalls selling everything from gelato to vintage port. Visit the stall of Henrique Sá Pessoa, one of Portugal’s most high-profile chefs, for a deliciously reasonable €10 lunch of leitão confitado: suckling pig belly pork with crispy crackling, sweet potato puree and sautéed pak choi. A glass of chilled Muralhas de Moncao goes perfectly. Linger for dessert, or wander around the local produce stalls, before heading down to the mouth of the Tagus to visit the UNESCO World Heritage Site Torre de Belém, climbing the steep steps to work off your lunch. Head back into town – but before you jump on the Metro, stop to take the iconic shot of the Monument to the Discoveries, with the 25 de Abril Bridge and the statue of Cristo Rei in the background. Breathtaking when the sun is shining. This quirky bar – inside a former fishing tackle shop in the regenerated Cais do Sodre district – has developed a cult following. 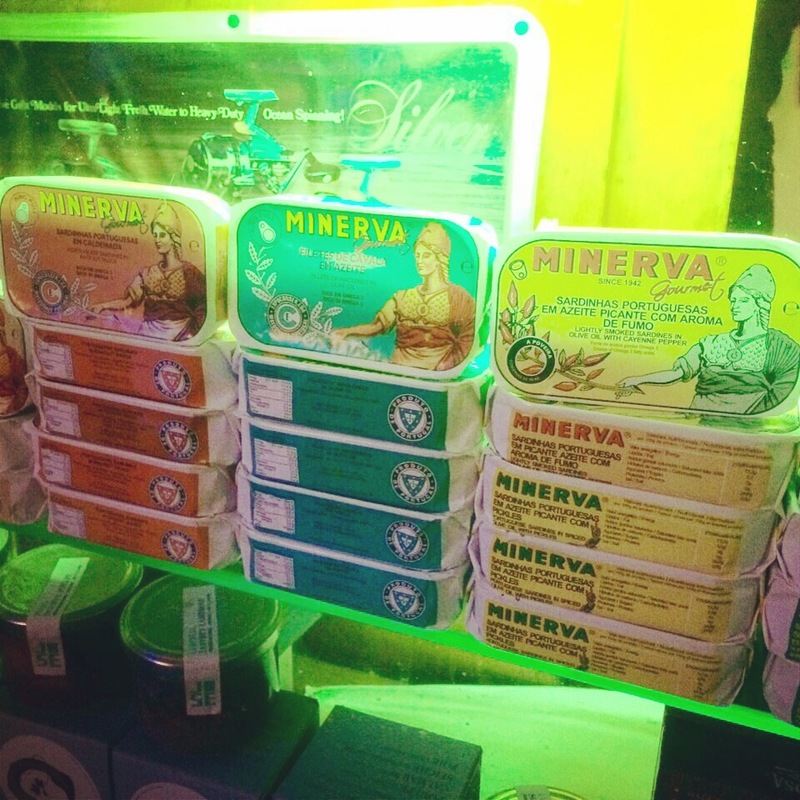 Sit amongst the fishing rods, lines and hooks and choose one of the hundreds of colourfully-wrapped tins of fish – tuna, mackerel, sardines – famously canned in Lisbon. The bar will serve the contents to you along with bread, olives and wine. For after dinner drinks, visit Pensao Amor for deliciously decadent cocktails sipped in a boudoir-inspired drinking den. 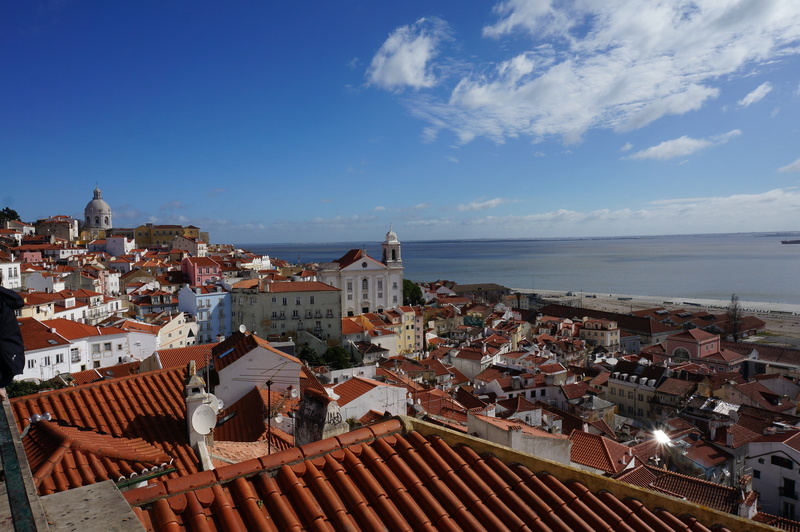 After a lazy Sunday morning spent clattering around the cobbled hilly streets of the Alfama district on tram no 28, get off at the terminus in Bairro Alto’s main square and head down the hill towards the Tagus to stop for lunch. 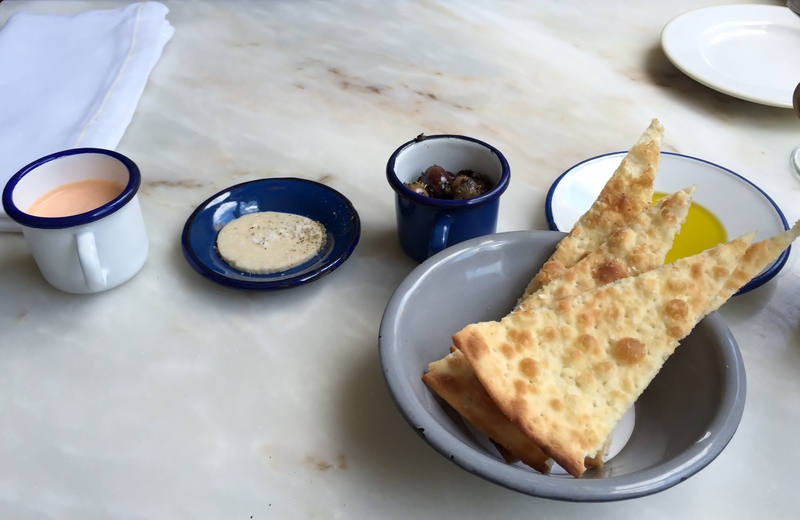 Squeeze in amongst local families at this hectic pizzeria and enjoy a complimentary starter of home-made wholegrain grissini, tomato and basil mousse, and truffle-infused butter. The Bica pizza (mozzarella, tomato, spicy salami and oregano) packs a punch; a tall glass of ice-cold local beer, Super Bock, takes away the heat. 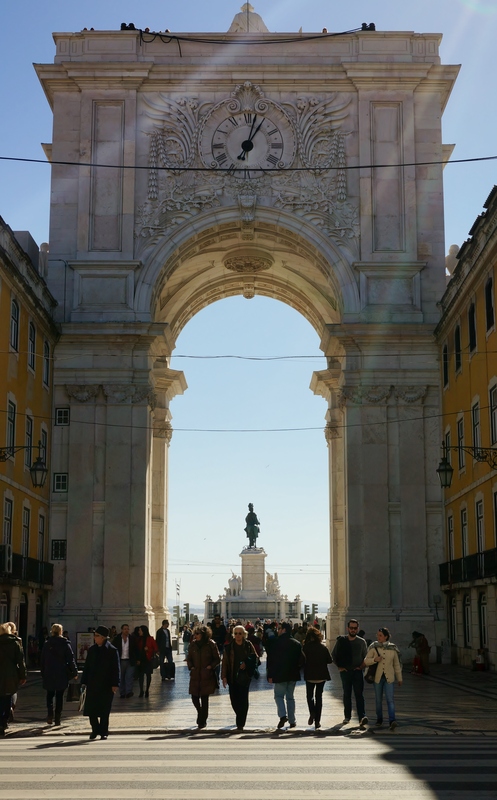 Wander down to the grand 18th Century arcades with their majestic yellow facades, through the Arco da Victória, and take a stroll along the riverfront Praça do Comércio before heading for the airport Metro and home.